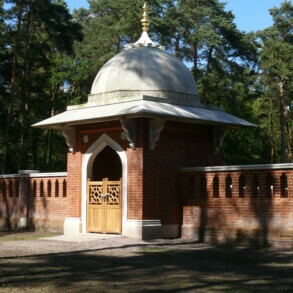 Home > Other > Reproductions > Muslim Burial Ground, Horsell Common. 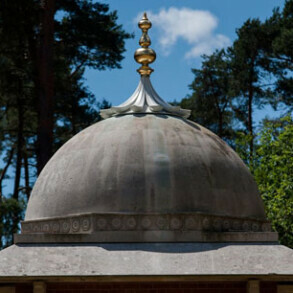 Woking, in the early 20th Century had the only purpose built mosque in England. 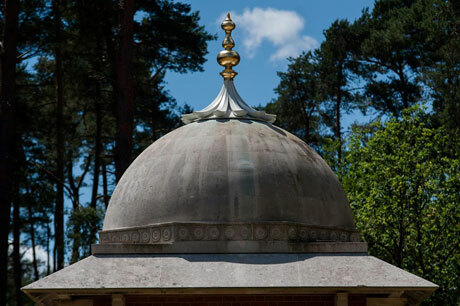 It was apparently for this reason that this location was chosen for the Indian Army soldiers who had died of their wounds on the battlefields of France during the First World War. 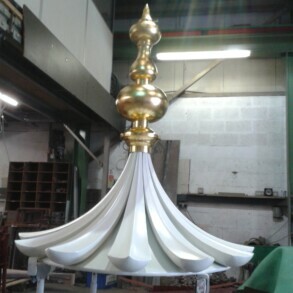 The arches, domed gateway and minarets reflected the architectural style of the mosque. 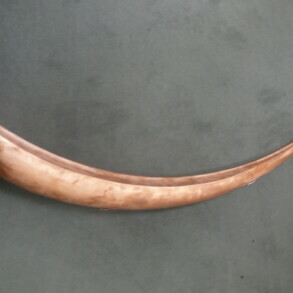 It ceased being a burial ground in the late 1960's because of vandalism and its remote location. 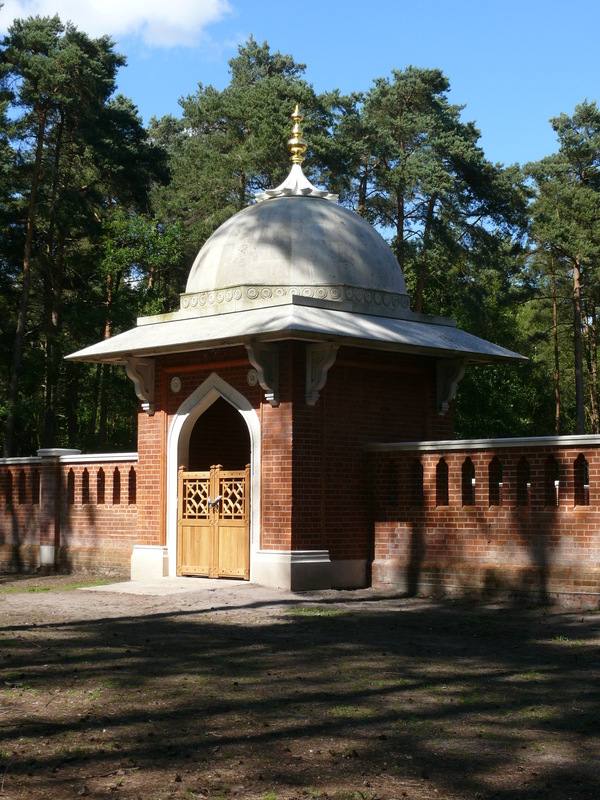 The graves and bodies were transferred to Brookwood Military Cemetery. 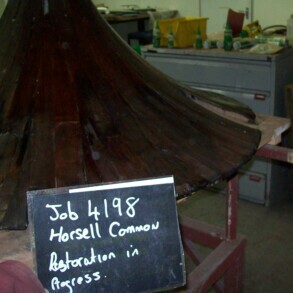 This left this unique piece of history in the ownership of The Horsell Common Preservation Society. In 1984 it was awarded Grade II listing due to its unique historical and cultural interest. 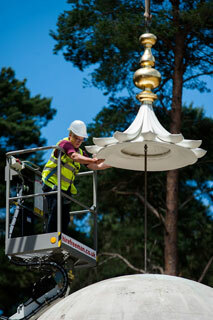 English Heritage and Woking Borough Council agreed to award grants to conserve this. 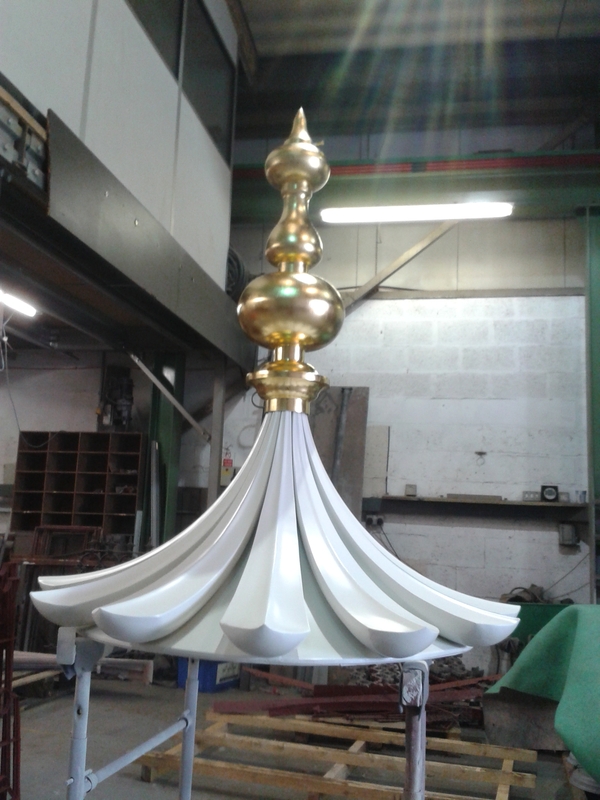 After repairs to the brickwork and Portland Stone capping Eura Conservation Ltd were pleased to be able to conserve and restore the minaret top above the main entrance. 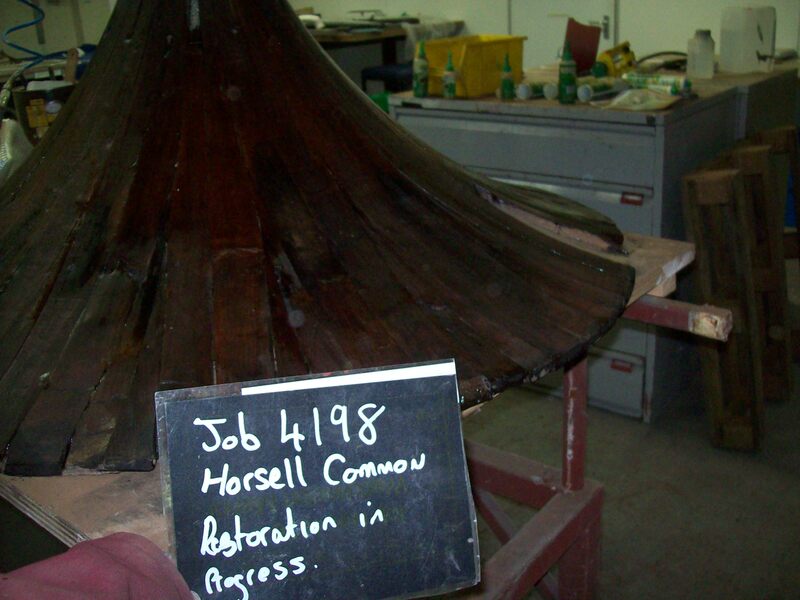 A painstaking piecing together of the wooden support for the minaret began, every possible piece and fragment was conserved rather than being scrapped. 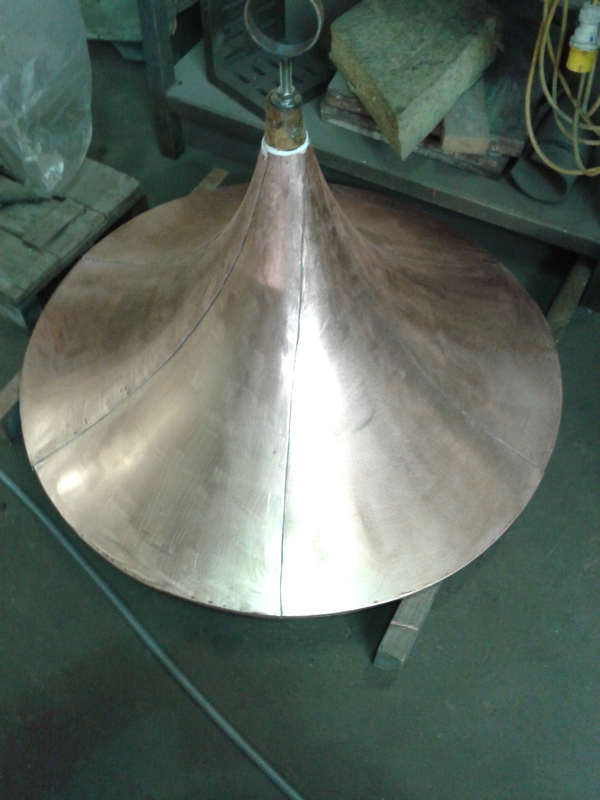 A new base for the lotus petals was designed and made. 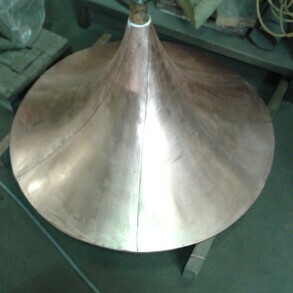 New copper lotus petals were created and fitted onto the copper base. 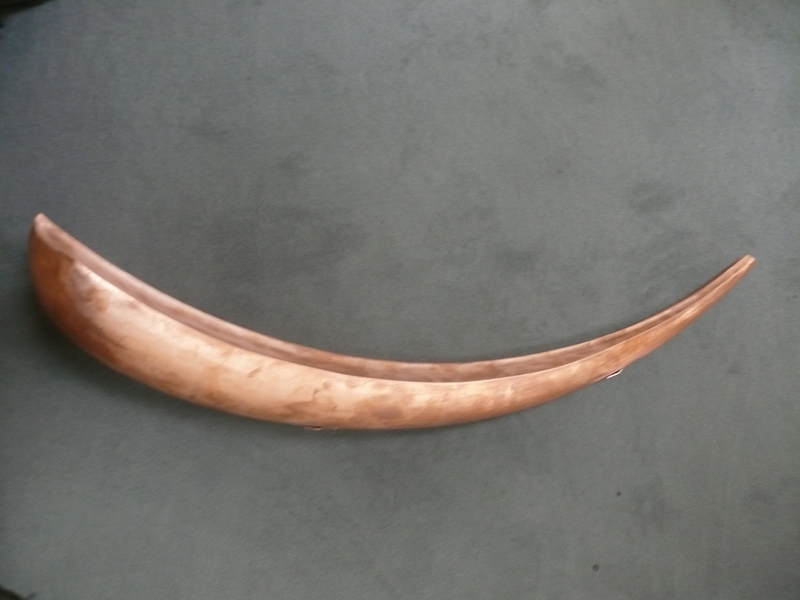 The whole was prepared in etching primer before being partly painted and partly gilded prior to being carefully re-positioned and fixed back in place. 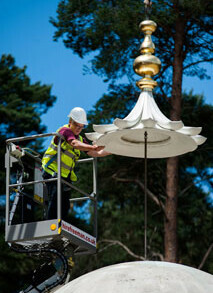 Finally the whole minaret was carefully transported and put back onto the dome of the burial ground which was then ready to be transformed into an Islamic style garden within the walled structure where visitors will be able to quietly reflect on those who sacrificed so much in battle during two World Wars.